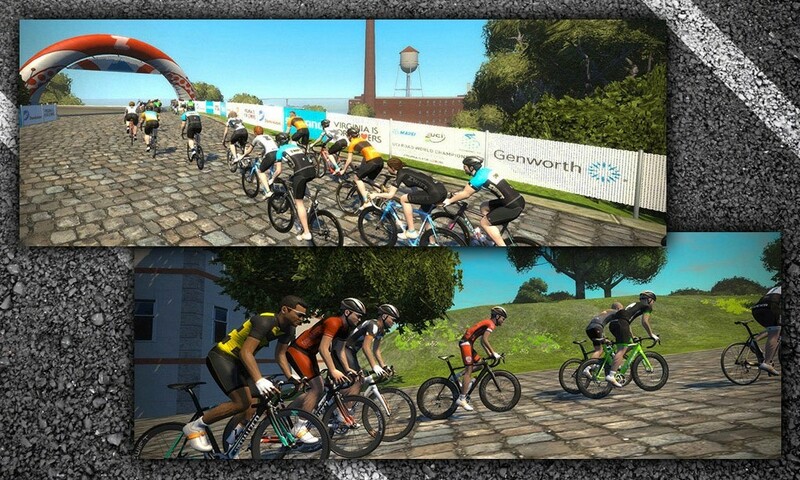 Richmond’s “Prefer Hilly Roads” option, also known as “Richmond Hilly”, is one of the punchier routes on Zwift, with 126m (413′) of elevation gain per 9.2km (5.7 miles) lap. The route also includes timed KOM segments for curvy, cobbled Libby Hill and short, steep, straight 23rd Street. The third climb (Governor Street) isn’t timed, but it’s often the longest and most painful as it leads into the false-flat finish.